Shull second grader Royce Gatz was selected to compete in the American Royal Invitational Youth Rodeo this weekend at the Youth Hale Center. 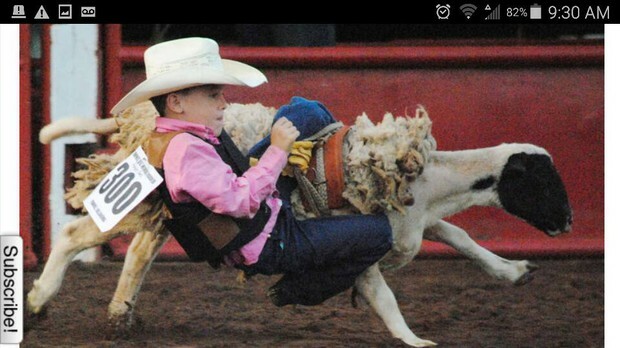 Gatz participated against top student athletes in the mutton busting competition. Since 2007, the American Royal has awarded $73,000 in scholarships at the Invitational Youth Rodeo, along with additional prize money and awards. Way to go Royce! The Attendance Boundary Committee has begun its work to help the District plan for 2017-2018. 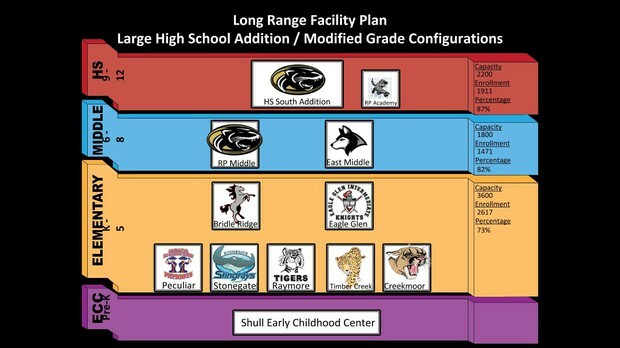 Shull Elementary will become the District's Early Childhood center. Shull families are scheduled to receive new school assignments for their children at the first of the calendar year after boundary recommendations have been made to the Board of Education. Shull staff began planning long ago how to help everyone celebrate our last year as a Shull school family together. We have added Donuts with Dads and Muffins with Moms events, planned several legacy projects for students to create, added additional seasonal parties and will have our biggest and best end of year barbecue ever! Additionally, students and teachers have been learning about using positive intent, having a growth mindset and how we can choose our brain state to cope better with changes. Expansion of the high school to serve all students in grades 9-12 sets in motion a series of changes that will impact each school in the District. The north high school building will become a second middle school, and both middle schools will have students in grades 6-8. Bridle Ridge and Eagle Glen Intermediate schools, now serving grades 5-6, will become elementary schools and all elementary schools will serve grades K-5. As a result of this new grade configuration, new attendance boundaries are needed for the elementary and middle schools. The committee plans to make revised boundary recommendations to the School Board by December. Our Veterans Day Celebration is scheduled for November 11, at 9:30 a.m. Veterans and active military members are invited to join us as we honor their service to our country. To prepare for the event, I am asking that you email me a digital photo of the veteran or current service member whom you know will be attending our Veterans Day Ceremony from your family. Did you know you can program your iPad apps to stop playing when the timer on the iPad stops? Before opening an app, touch the CLOCK and go to TIMER. Underneath the hours/minutes there is a note that indicates your sound choice that will play when the time is finished. Touching that will bring up a menu. Choose STOP PLAYING at the bottom of this list. Then choose the length of time that you'd like the app to be used and press START. When the timer goes off, the screen will return back to the locked screen. 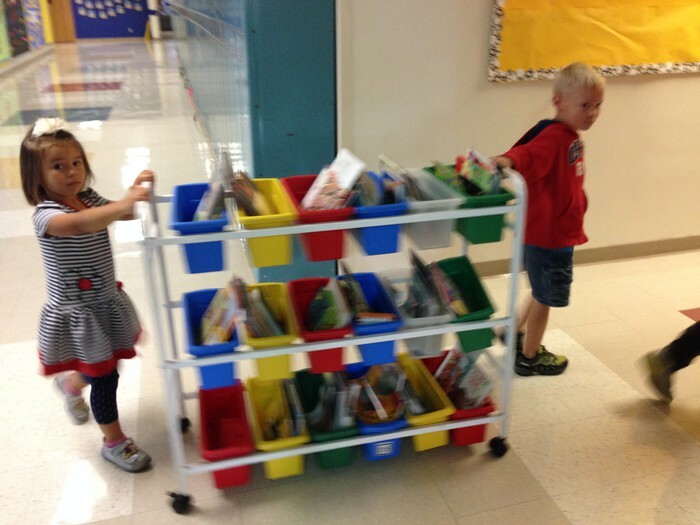 Kindergartners Lizzie and Ahren use caution while slowly pushing the rolling book cart back to class. 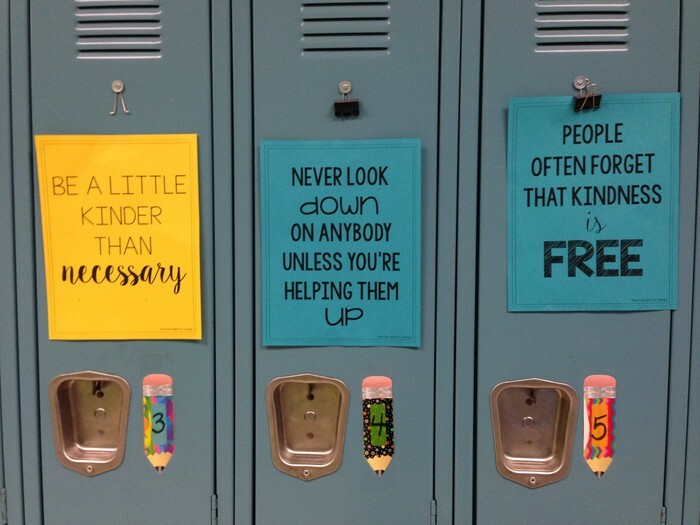 3rd grade students in Mrs. Wooley's class are inspiring others by adding Random Acts of Kindness posters to their lockers in the hallway outside the library. 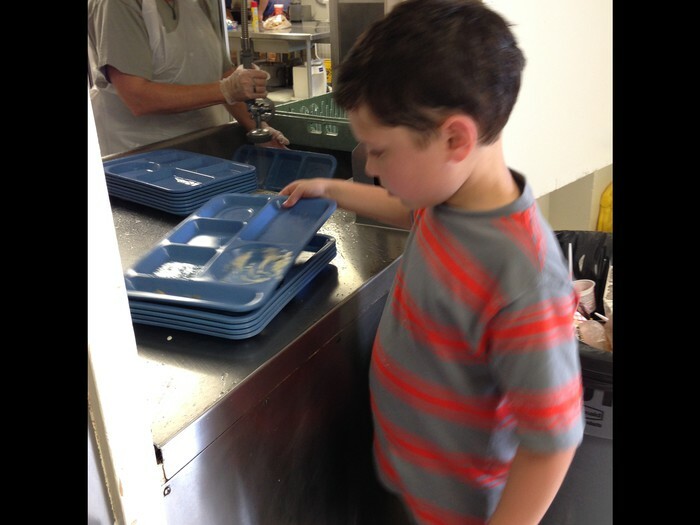 Logan rearranges the lunch trays so they stack neatly on the counter for Ms. Debbie in the kitchen. 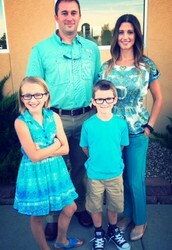 Pizza Night for Dads & Kids! Dads, Grandpas, Uncles and positive male role models--YOU ARE INVITED!! Join us on Thursday, September 29, at 6:30 p.m. in the Shull library for free pizza and refreshments. You'll also learn how you can become a member of our Watch D.O.G.S. 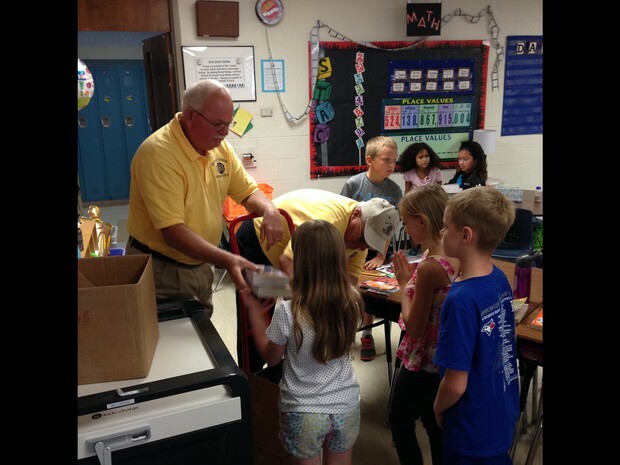 program, "Dads of Great Students". Paper RSVP forms went home last week. Please RSVP here or call school (816)892-1600 to let us know you're coming so we have enough pizza for everyone. 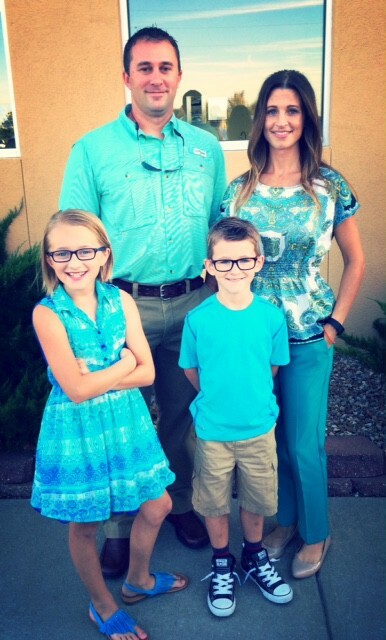 Sept 27 - Shull Culver's Night @ the Raymore Culvers 5:00-8:00 p.m.
Sept 29 - Dad's Pizza Night @ 6:30 p.m. The 2016 Great Central U.S. ShakeOut Earthquake drill is happening in the central United States on October 20th, at 10:20 a.m. Your child's teacher will address how to be Earthquake prepared and Earthquake aware. Shull's 2016's theme is, "I Elect To Be Drug Free!" As usual, there is a fee for adult lunches this day. RSVP forms will be sent home soon. Want to Serve as a Field Trip Chaperone? Field trip chaperones are required to pay for and pass a background check. They are also expected to ride the bus and supervise a small group of students at the venue. Talk to your child's teacher if you are interested in serving as a chaperone on a field trip this year. School meal menus are available on the Child Nutrition website at www.rpchildnutrition.org as well as the “Web Menus” app by School Nutrition and Fitness available through itunes for Apple or Playstore for Android. 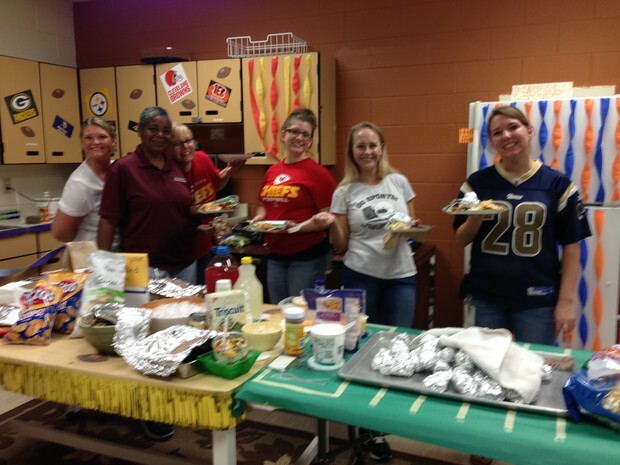 The Child Nutrition Department now uses the Ray-Pec Web Store to process meal account payments. Go to www.raypec.k12.mo.us and select “Online Bill Pay” at the top of the page to replenish funds in your student’s meal account. 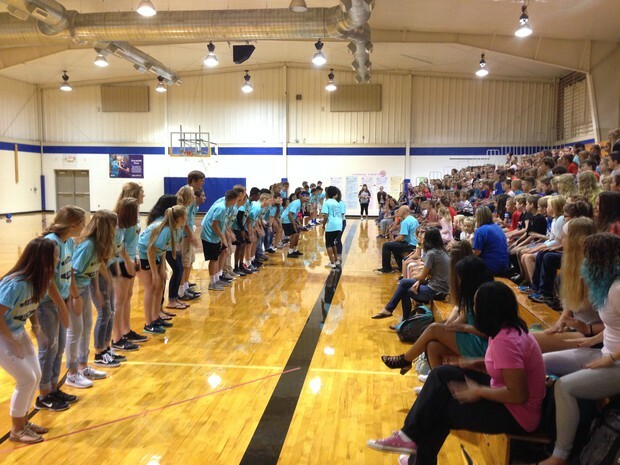 The District's Panther Pride program provides before-school and after-school care for school age children in grades K-6. Click on the link below for enrollment details. The Ray-Pec School District contracts with Apple Bus Company to provide student transportation. To inquire about transportation or to speak with an Apple Bus employee about your child's bus experience, call Apple Bus directly at 816-318-1900, or you may send an email to Apple Bus at rp@applebuscompany.com. Join My Text Message Remind Group! Keeping your family connected is easy! I regularly send text messages to remind you of important events, cancellations, or school changes. Signing up is a breeze.